Ansonia latidisca was rediscovered recently by Indraneil Das. 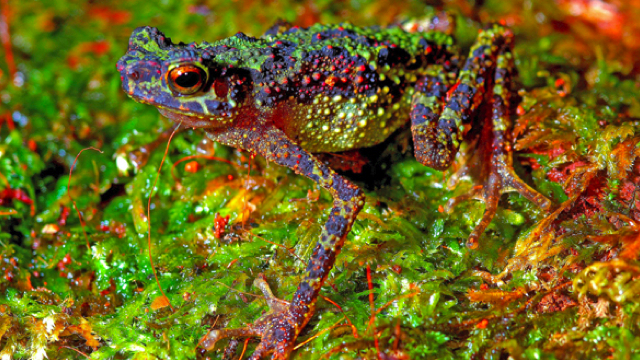 Ansonia latidisca is also known as the Bornean rainbow toad which hasn't been seen since 1924! 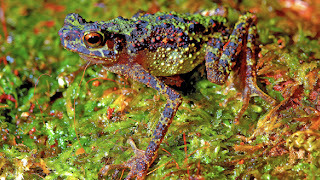 Below is the first ever photograph of the toad; check out all of the amazing colors on it! It's pretty amazing to see a toad that resembles some of the papers here in the studio!